The FSH Society, the Massachusetts-based charity that has transformed the science of a little-known disease, facioscapulohumeral muscular dystrophy (FSHD), today announced the launch of its #FSHDselfies Campaign. The campaign is designed to encourage consumers across the country to take a selfie using the hashtag #FSHDselfies to drive awareness of FSHD, a disease that is often overlooked, despite being one of the most common muscular dystrophies. 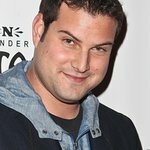 Actor Max Adler, known best for his roles on the hit TV show “Glee” and brand new ABC Family series “Switched at Birth,” is championing the cause by sharing his own selfie to kick off the campaign. A New York-based philanthropist has pledged to donate $1 for each selfie posted with the campaign hashtag, #FSHDselfies, to the FSH Society. The donor has generously offered to give up to $5,000 toward the cause. Affecting more than 500,000 people worldwide, FSHD is one of the most common muscle dystrophies. The genetic disorder presents a lifelong progressive loss of all skeletal muscles, typically attacking the muscles of the face (facio), shoulder blades (scapula) and arms (humerus), though it can progress to affect all skeletal muscles. Approximately one-quarter to one-third of patients end up in wheelchairs.